HIGHLANDS  Banana Bend is a family oriented, outdoor fun area that now entertains thousands every week. It can park many hundreds of cars, and is open from Mid-May until after Labor Day. Many church groups, reunions, and parties take advantage of all these facilities. Dickie noted that there is not really any similar facility anywhere in the Houston area, especially on a body of water like the San Jacinto River, which is actually accessible clear to Galveston Bay. Although many of the patrons are from the immediate East Harris County area, others come from all parts of the region to enjoy the unique, relaxed atmosphere. Dickie Woods remembers it like yesterday. 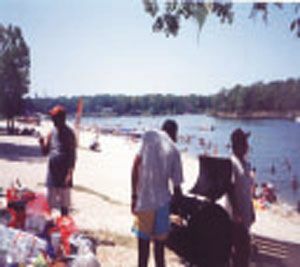 But it was 1985, and he and his brother Floyd had the opportunity to purchase 9 acres of land along the San Jacinto river, where the beginnings of a recreation beach had been established. Originally platted as home sites by Don Lang and his development group, these 20 lots were on a prime bend in the river, and had lots of sandy beach and waterfront opportunity. In those days, Grace Lane was still a dirt road, and only a bait camp and some campgrounds were on the property. But Dickie and his brother saw the opportunity for more, and they developed what is now known as Banana Bend Recreation Beach. It took the first ten years to reach full development. Now the facility has boat launches, picnic areas, swimming, water skiing, concessions for food and drink, childrens play areas, a fuel dock, restrooms and showers, volleyball, and facilities for concerts and company picnics. And more new projects are in the works, including more playground equipment, BBQ pits, and picnic facilities. A completely stocked concession stand offers a variety of drinks, and what Dickie calls the best Hamburger in Houston. Additional information about schedules and rates are available by calling 281-426-6482, or on the web at www.bananabend.com. A map to the Beach is printede elsewhere in this issue, and can be reached from I-10 east, exit Crosby-Lynchburg road and proceed north to Grace Lane. Brady Davis, a retired shop teacher and maintenance worker, who worked in North Forest ISD for years was killed Friday morning during a mugging. Davis was washing his barbecue trailer shortly after 6am at a carwash on Homestead near Annunciation in preparation for the Memorial Day weekend and graduation party. Police believe a man tried to rob Davis and then shot him. Police believe the same man tried to rob a woman earlier that morning. Police say there were no obvious signs of struggle. They do not believe anything was taken. The suspect possibly fled on foot and may live nearby. 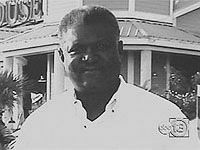 Davis was 61 years old, and had served North Forest ISD for 25 years. Friends say Davis was a go-getter who was always willing to help a friend. Police need witnesses. They are asking anyone who might have seen two men talking at the carwash to come forward. The incident may have looked more like a conversation rather than a robbery. Houston, TX  Jumpstart Juneteenth with a rockin musical tribute to the City of Houston at Miller Outdoor Theatre in Hermann Park, Sunday, June 18, 7:30PM with A GULF COAST JUNETEENTH, courtesy of Surviving Katrina and Rita in Houston, a Survivor-Centered Storytelling and Oral History Project. This major free concert event explores the ongoing dialogue between the traditions of Houston and those of the Gulf Coast. With a hearty serving of hot blues, blaring brass band jazz and sizzling zydeco, A GULF COAST JUNETEENTH extends a big musical thank you to and for the citys generous response to hurricane evacuees and survivors. It also celebrates links among these styles of music and their performers which have seldom been appreciated or acknowledged. With Houstons own R&B legend Grady Gaines, New Orleans transplants New Birth Brass Band and local phenom Brian Terry and the Zydeco Travelers, A GULF COAST JUNETEENTH samples the range of African American music that forms the core of the Gulf Coast sound. This free concert kicks-off the traditional tribute to June 19, 1865 (known as Juneteenth) when Texas African-Americans were belatedly informed of the signing of the Emancipation Proclamation, officially freeing enslaved Americans. Since then, the Texas commemoration of Juneteenth has become an important celebration of African-American identity throughout the Gulf Coast and the United States. In the wake of hurricanes Katrina and Rita, hundreds of thousands of displaced persons passed through Houston. Some have spent a few weeks or months in the city, but many will make Houston their home for decades to come. These individuals have undergone life-changing experiences and have stories of great drama and heroism to share with us. The Surviving Katrina and Rita in Houston project provides hurricane survivors with the training to document the stories of their fellow evacuees and to do so on the survivors own terms for the national memory, the historical record and to acquaint and connect these recently-arrived residents of the city with their new neighbors and fellow Houstonians. Surviving Katrina and Rita in Houston is a partnership of the Texas Commission on the Arts, The American Folklife Center at the Library of Congress and the University of Houston and is funded by the Houston Endowment. Surviving Katrina and Rita in Houston works in cooperation with several prestigious Houston cultural organizations including FotoFest, The Orange Show, Project Row Houses, The Houston Institute for Culture and the Vietnamese Studies Program at the University of Houston. A GULF COAST JUNETEENTH is sponsored by the City of Houston through the Miller Theatre Advisory Board. All performances at Miller Outdoor Theatre are free. Program updates are available at 713-284-8350. For a complete schedule of 2006 Season performances, visit www.milleroutdoortheatre.com. 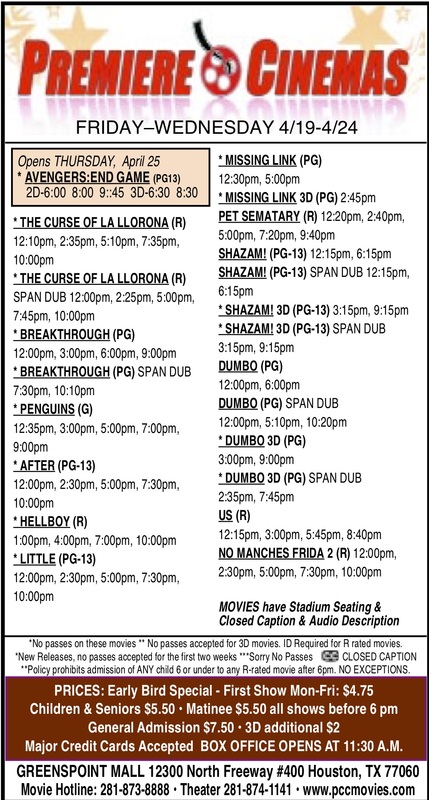 The theatre is operated by the City of Houston Convention & Entertainment Facilities Dept. and performances are funded in part through the Miller Theatre Advisory Board. Ride Metro to Miller: The theatre is accessible via Metro bus or MetroRail (exit the Hermann Park/Rice University MetroRail station.) Bus and train schedules are available at www.ridemetro.org or 713-635-4000. Residents along Bentley near Little York were not surprised this week when rains caused their street to flood. High water during even during moderate rains has been a common sight for years. Drainage problems on the short road often keep residents from being able to drive home. Many have to park a block away and walk home until the water subsides. This week the street flooded on both Monday and Wednesday, which was trash day and only added to the problem. When city busses passed down the street, the water wake from the busses knocked down trash cans waiting at the curb. The floating garbage then blocked the storm drains, keeping the water levels high. The residents on Bentley are in a difficult location because Bentley at Little York is at the end of the City of Houstons limits, while the rest of Bentley is the responsiblity of Harris County. Several months ago, the Northeast News reported on dangerous potholes on the same stretch of Bentley. Shortly after our story, the street was resurfaced with asphalt, but the drainage issues were not addressed. 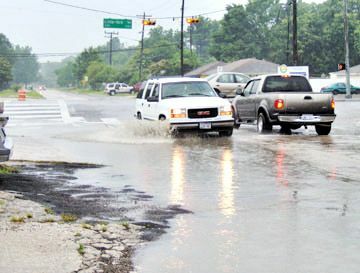 The city is discussing a way to work with the county to improve the streets drainage. YOU CAN WIN 4 FREE TICKETS TO SIX FLAGS SPLASHTOWN HOUSON. See Details in the Newspaper on how to Enter this Drawing.